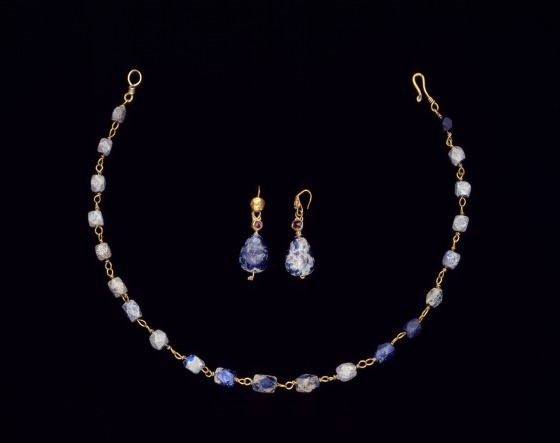 As far as Roman jewelry is concerned, the 2nd century C.E. is not well-represented, except for a few finds from the provincial areas of the Roman world. 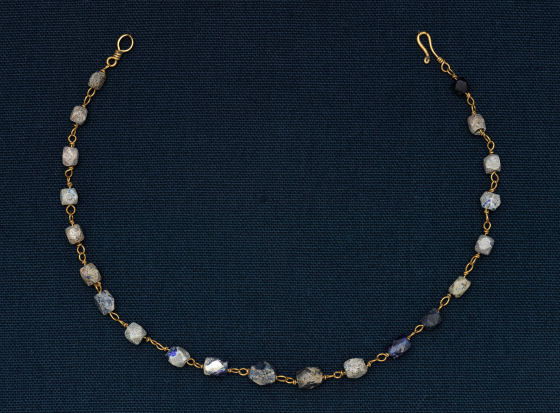 This necklace is a rare example and perfectly embodies the abstract forms of Roman jewelry. Beads of this shape were very popular from the 2nd century C.E. onward because this particular way of polygonal cutting enhances the stone. The blue glass was probably meant to imitate sapphires. This necklace belongs with a matching pair of ear pendants (1991.75.94.2.a-b). 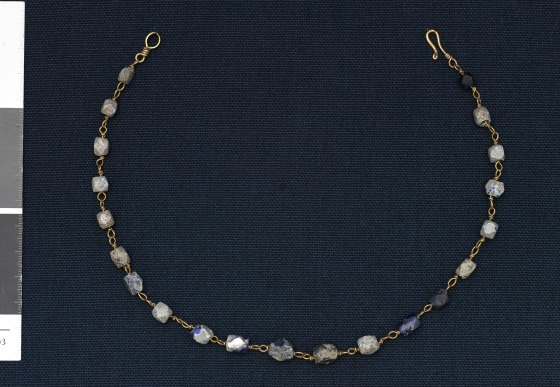 Barbara Deppert-Lippitz, Ancient Gold Jewelry at the Dallas Museum of Art (Dallas: Dallas Museum of Art in association with the University of Washington Press, 1996), 108-9; 145.